As the name suggests, mini gastric bypass surgery (MGBP) is a simplified form of a standard gastric bypass surgery. The surgery uses a combination of restrictive and malabsorptive techniques to reduce the size of the stomach and alter hormones involved in appetite control. It is also an operation which is gaining recognition for the eradication of diabetes in insulin and non-insulin dependent patients. How does Dr Dolan perform mini gastric bypass? Mini Gastric Bypass (MGB) combines the benefits of a gastric sleeve with a gastric bypass. A small pouch of the stomach is created similar to a gastric sleeve. This restricts food intake by allowing only a small amount of food to be eaten before feeling full. A loop of intestine is brought up and attached to the stomach pouch so that 200cm of the intestine is bypassed, resulting in absorption of only 25% of all food that is eaten. MGB is safer than other gastric bypasses as there are fewer joins between the intestines. MGB reduces the amount of food that can be eaten and decreases the absorption of calories that are consumed. Before the procedure, Dr Dolan will run a series of tests to ensure patients are ready for surgery. Patients will also need to follow an eating plan set out by their surgeon and dietitian. Go on a liquid diet a week before surgery. Be nil by mouth after midnight, the day before surgery. What can I expect after mini gastric bypass surgery? Post-surgery you may experience abdominal pain, particularly at your incision sites. You will typically be required to stay overnight in the hospital. Before you are discharged, you will receive detailed instructions to help you care for your incisions and surgical area, and your follow-up date with Dr Dolan. We will also prescribe medication to aid in the healing process and reduce the risk of infection. It’s essential that you follow all instructions carefully to ensure the best possible outcome. The average weight loss is approximately 50% in the first year and can increase to 80% by the third year following surgery. The results will vary and depend greatly on the patient’s ability to follow instructions, improve their lifestyle and their dietary habits. What does mini gastric bypass surgery cost? Is there payment plans? There are a number of factors which may influence the final cost of surgery. 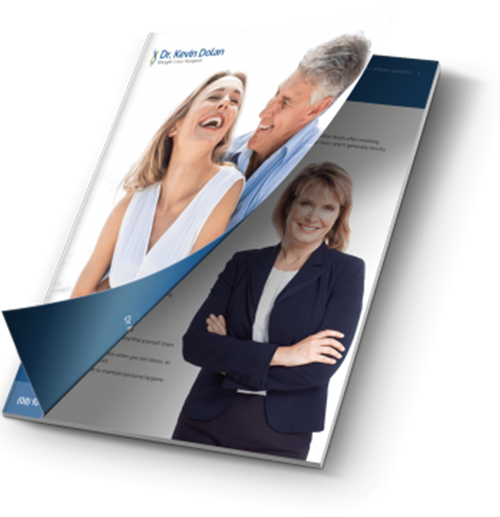 Dr Dolan will be able to provide a more detailed quote during your initial consultation. Patients can choose from a variety of payment options available depending on their financial circumstances and insurance status. Out of pocket expenses are $4,950 for insured patients. It may also be possible to access your superannuation. We offer flexible payment plans for patients. Complications are similar to gastric bypass surgery; however these are very rare under the prevision and expertise of Dr Kevin Dolan. Preparing for your mini gastric bypass surgery should involve understanding the risks and symptoms of minor and major complications. Minor complications can include ulcers, hernias at the surgical site, and minor incision infections. Major complications can include staple line leaks, pulmonary embolisms, and strictures, among other risks. These typically occur within the first three weeks after surgery and should be addressed promptly by your surgeon. What is a mini gastric bypass surgery? A mini gastric bypass surgery is essentially a simplified form of the standard gastric bypass surgery. During the procedure, Dr Dolan will use a combination of restrictive and malabsorptive techniques in order to reduce the size of the stomach and alter the hormones that are involved in controlling one’s appetite. The procedure may also be recommended for patients with diabetes, as it can help to eradicate the condition in both insulin and non-insulin dependent patients. It can also help to resolve issues like high cholesterol, high blood pressure, and polycystic ovarian syndrome. Are there any advantages to opting for a mini bypass surgery? Yes, there are a number of advantages that are specific to mini bypass surgery. It is the safest gastric bypass procedure of its kind, and because there are less joins involved, there is less chance of a leak than with some of the other available options. There is also less chance of an internal hernia with this procedure. A mini gastric bypass procedure is an effective rapid weight loss method, and can also help to control type 2 diabetes before weight loss. It can also help to manage high blood pressure, high cholesterol, and polycystic ovarian syndrome. How can I prepare for a mini bypass procedure? Before the procedure, you will go for a series of tests to make sure that you are ready for surgery. You will also need to follow an eating plan, which will be explained to you ahead of time. In most cases, this will involve sticking to a liquid diet for around a week before surgery. It can also be helpful to ask a friend or family member to come to the hospital with you for support and comfort before you go in for your procedure.